While I don’t recall the first time I saw a hijab-clad woman, I know it was years after the Muslim surprise attack on September 11th, 2001. Similarly, I admit to viewing my first mosque, a shiny new one, just a few months ago. Why, only recently, and over a decade after 911 is Islam ascendant in America? The spark for this squib is Daniel Boorstin’s 1992 book, The Creators.1 In Chapter Eight he explores “The Uncreated Koran,” which sheds light on why Islam cannot coexist with American free government. For the moment, put aside the ongoing Ramadan Bombathon (Forty-six worldwide attacks over nine days, 510 dead). There is a higher order reason why Islam, if allowed to spread, portends the certain demise of our republic. Until recent decades nearly all our habits and mores derived from Christianity. Back when Boorstin the historian penned his work Islam was a problem for other countries, not ours. Being detached from political correctness he examined Islam the way anthropologists explore any primitive culture. Our differences with Islam derive from the roots of our national being, Christianity. It does not matter if one is agnostic or atheist; every American should be thankful our earliest explorers and settlers were Christian and not Muslim. Fortunately, there was little danger of that happening because the act of discovery is anathema to Islam, as the following will show. Creation itself is unappealing to Islam. The first evidence is their view of holy scripture. Understand that Mohammed is not the Muslim Jesus. We believe in the Incarnation, the taking on of human form by Jesus, conceived as the Son of God. Muslims believe in Inlibration, the embodiment of God in a Book. The mystery we feel toward Jesus Christ is what Muslims feel toward the Koran. Recall that at Club Gitmo, our military guards went so far as to wear white gloves when handling the Koran. In the Muslim mind, we infidels could do no less. If Allah in a book is difficult to comprehend, consider the uncreated Koran. Huh? Yes, uncreated, for passages in the Koran suggest it existed from eternity. For a couple hundred years after the death of Mohammed many thousands of Muslims died fighting in support or denial of this belief. 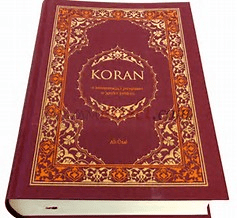 By the mid-ninth century it was accepted that the Koran was not created. The Koran is eternal. It preexists everything else. Islam exempted their holy script from the work of creation. Consider from Genesis that God did most of the work Himself in six days, and some of it by fiat, such as light (Genesis 1:3 Let there be light: and there was light). When finished, he rested. In the Bible, the Creation in the first Chapter of Genesis is an historic event, prologue to all the rest of the history chronicled in The Book. But there is a vast difference in emphasis between the acts of Creation in the Bible and Koran. In the Koran, the six days of Creation are not the beginning of a story but signs of Allah’s omnipotence and his claim to our obedience. After six days of giving orders, the god of the Koran, having no need to rest, simply mounted the throne of authority. From there he continued to rule by decree over man’s life and death and every earthly act. The relation of the Muslim god to his creature, man, is quite unbiblical. The uniqueness of the biblical Creator-God was in his powers of making; the uniqueness of man and woman too would be in their power to imitate God and after their fashion to exercise the power of Creation. After God created the species in the Beginning, He blessed them to be fruitful and multiply; He made them so that each procreated after its kind (Genesis 1:22). The spectacle of Creation shaped Western man’s thinking. In the Koran, Allah’s commands recur in the conception and gestation of every human being, in every repetitive phenomenon of nature. Again and again, Allah gives his order, “Be” and it is, for each stage in man’s growth. Every such decree of re-creation provides an additional sign of Allah’s power and authority. Why did God create man? The God of the Bible would judge man by the fulfillment of his God-like image. Since Allah would judge men only by their attitudes toward him, Muslims do not like to be called Mohammedans. It is a sacrilege, implying that any man, even the prophet himself, could claim submission due to Allah alone. The people of the Koran prefer to call themselves Muslims, from “Islam,” the Arabic word for submission or obedience. The Koran repeatedly reminds us that Allah’s creatures are also his servants, or more properly, his slaves. What clearer warning against reaching for the new? For a believing Muslim, to create is a rash and dangerous act. Slaves do not create. Islam means obedience the way a slave obeys and faces certain wrath from his master if he doesn’t. This god to man relationship translates to the observation that Islamic nations are predisposed to authoritarian governments. It goes down to the family, where while the father has no political rights, he has near absolute life and death power over his wives, sons and daughters. Muslims are fatalistic. Not my fault, “it is Allah’s will.” It is why Islamic countries and neighborhoods in western countries are often filthy and unhealthy, for where Allah directs and determines all, the individual is not predisposed to creatively improve the lot of himself, family, community, or country. For a thousand years, Islam stifled God given creativity in its people, the same creativity that drove Western peoples to think, explore and produce the civil society and modern wonders we take for granted. Where the creation of our republic was a conscious act consistent with and supportive of Biblical teachings, Islam is hostile to our Constitution and cannot be made to work within republican America. People will not believe in nothing. Something must feed our spiritual needs. Beginning with progressive scotus decisions in the 1950s, which proscribed Christianity from public schools, our secular institutions from academe, entertainment, and government increasingly reject, ridicule, and sneer at Christian morals. When combined with K-16 teachings of guilt over the perceived faults of Western Civilization in general and America in particular, many find faith in social justice, Gaia, environmentalism, and Islam to fill their spiritual void. Islam cannot be imposed upon an unwilling people who love their Creator God more than they fear a tyrannical god. Islam can only prosper where self-love and love of God and country are absent. Where this love ends tyranny begins. Thanks to the Left, twenty-first century America is fertile ground for the viral spread of barbaric and deadly Islam. The threat from Islam goes far beyond killing infidels. The devout Muslim is a slave, where women are enslaved to men, and men are enslaved to Allah. Slaves have no rights and do not create. When one’s god in heaven is an all-powerful master, it is but a short intellectual walk to accept all-powerful masters on earth. While the authoritarian teachings of Islam dovetail perfectly with the Left’s efforts to centralize government, they are anathema to the America’s Natural Law and Christian foundations. The hijab isn’t an expression of modesty; it is a single finger salute to non-believers. It is a warning of intent to enslave the once freest republic on earth. Can tyranny by degrees be established under our Constitution? We are watching it. What shall we do? We are the many; our oppressors are the few. Government is the playground of politicians, but the Constitution is ours. Be proactive. Be a Re-Founder. Join Convention of States. Sign our COS Petition. Boorstin, D. J. (1992). The Creators – The History of Heroes of the Imagination. New York: Random House. Pages 63-69. Among other honors, and accomplishments, Daniel Boorstin (1914-2004) was a Librarian of Congress. His scholarly works are worth a read. Progs despise him.